Portsmouth Mediation Service has, in partnership with Building a Stronger Britain Together, had a film commissioned about its Vision and Mission for a Restorative Portsmouth. The film is being produced by the top publicity and media company M&C Saatchi – their production team and film crew spent a couple of days in Portsmouth filming the city and its people who have caught the Big idea of a Restorative Portsmouth. 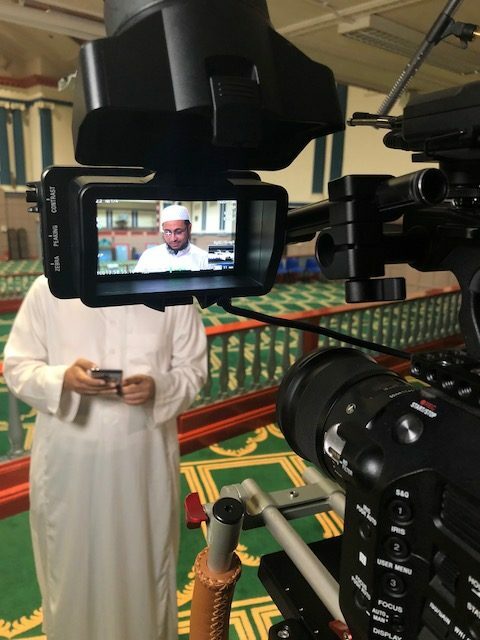 Here, The Iman Muhammed Muhi Udin, prepares for his interview at Portsmouth Jami Mosque.